Kerry natives Muireann Nic Amhlaoibh and Christy O’Leary and Dubliner Aimée Farrell-Courtney will lead the Irish trad musicians, and Derek Ryan, an operatic bass-baritone from Tipperary, will sing the role of Pádraic Pearse – accompanied by a 60-member orchestra, chorus, and trad ensemble. Additional narrators for the concert will include Irish America editor and co-founder Patricia Harty, television commentator Chris Matthews, former Governor Martin O’Malley, Washington businesswoman and strategist Susan Davis, and Mark Tuohey, director of the Washington mayor’s Office of Legal Counsel. Brian Friel’s play The Home Place, directed by Charlotte Moore, now in previews at the Irish Repertory Theatre, will open this week and run through November 19. 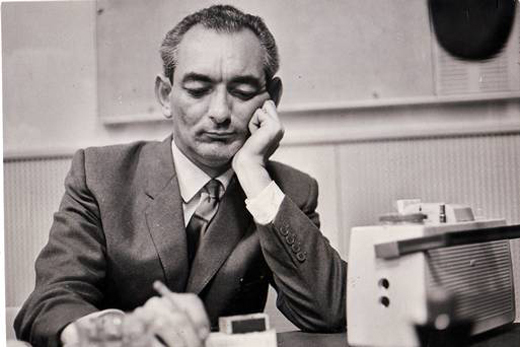 Ireland’s best know dramatist (Dancing at Lughnasa, Translations, and The Faith Healer), passed away in 2015 but his work lives on. Over the years, the Irish Rep has produced eight of Brian Friel’s plays, and now The Home Coming (2005), one of his later plays, is having its New York debut on the theater’s main stage. Set over the course of a single day in rural Donegal in 1878, the play explores love in the time of colonialism. A widowed man and his son, both in love with their housekeeper, and a doctor who arrives in Ballybeg with the intention of pursuing a Darwin-inspired scientific theory, by measuring the craniums of the indigenous locals, are at the center of the story. The Home Place began previews on September 27 and will run through November 19. For tickets call 212-727-2737 or visit www.irishrep.org. 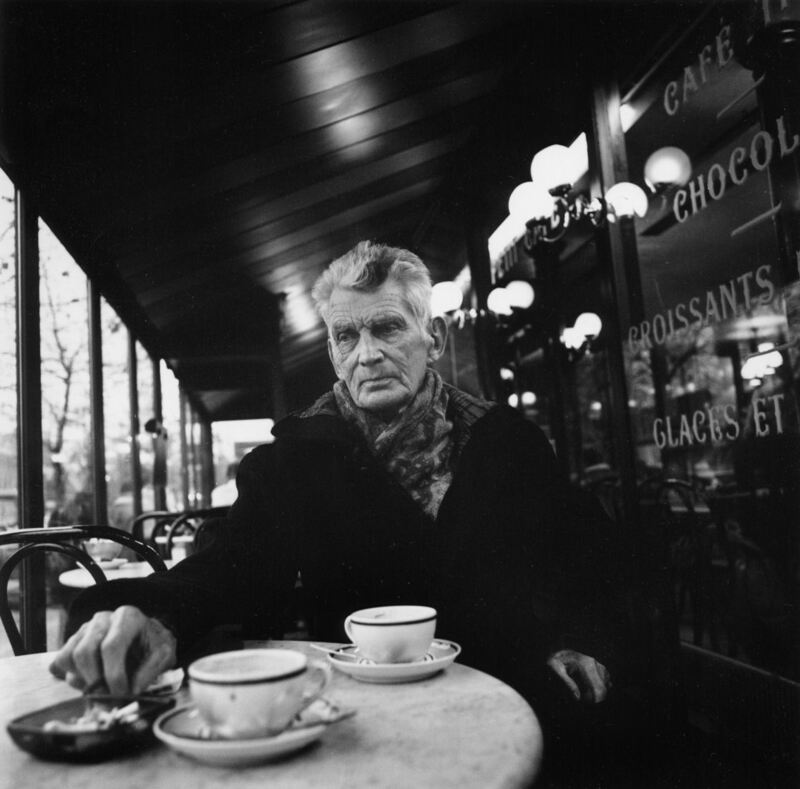 “John Minihan: Beckett and his World” is on view through December 15. For more information visit irishartscenter.org/event/john-minihan. Colin Davidson’s epic series “Jerusalem” is on display at the 92nd Street Y in New York. 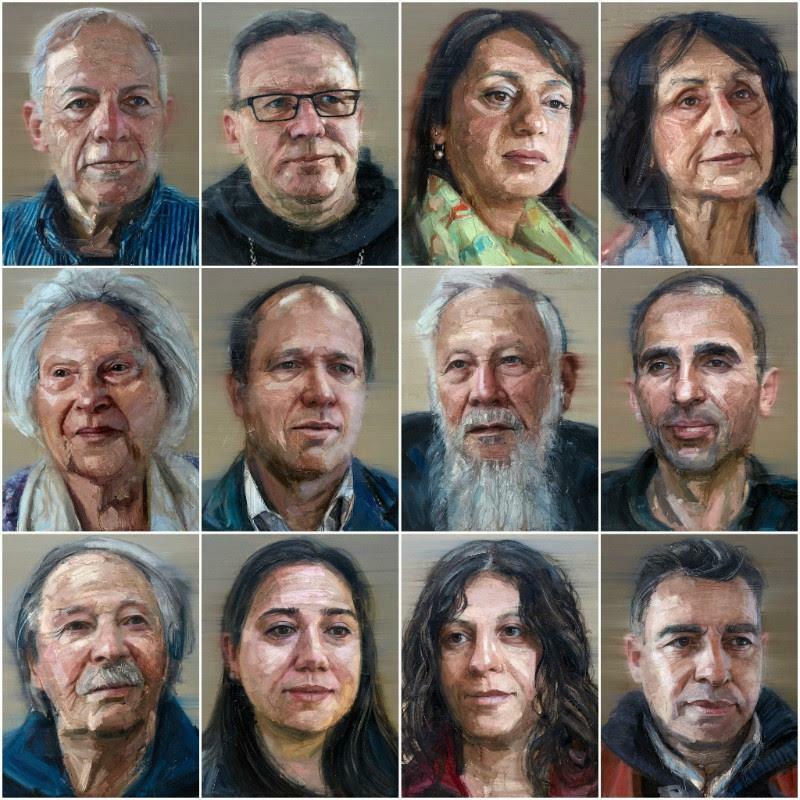 Belfast-born artist Colin Davidson’s new exhibition, Jerusalem, comprising 12 large-scale portraits of individuals who live and work in the storied, multi-faceted titular city, was unveiled at the 92nd Street Y in New York in September. Co-conceived by Oliver Sears, the exhibition was first displayed in London to great acclaim. In Jerusalem, the theme of common humanity is the connecting thread which ties each piece to the others. Though the subjects include Jews, Muslims, Christians, Benedictine monks, politicians, doctors, peace activists, hotel workers and Holocaust survivors, all are uniform in their human dignity and the city that they call home. Over the course of the exhibition’s stay in New York, interactive guided tours will be available from 92Y art appreciation educator Melanie Adsit. Prior to Jerusalem, Colin Davidson received mass attention in 2016 with his Silent Testimony exhibition, a similar portrait series of 18 people connected through personal experiences of loss and suffering during the Troubles (Irish America printed select paintings from the series in our April / May 2016 issue). The exhibition was displayed in the Ulster Museum and the Centre Culturel Irlandais in Paris. Jerusalem runs through November 14 at the 92nd Street Y. For more information visit 92y.org. 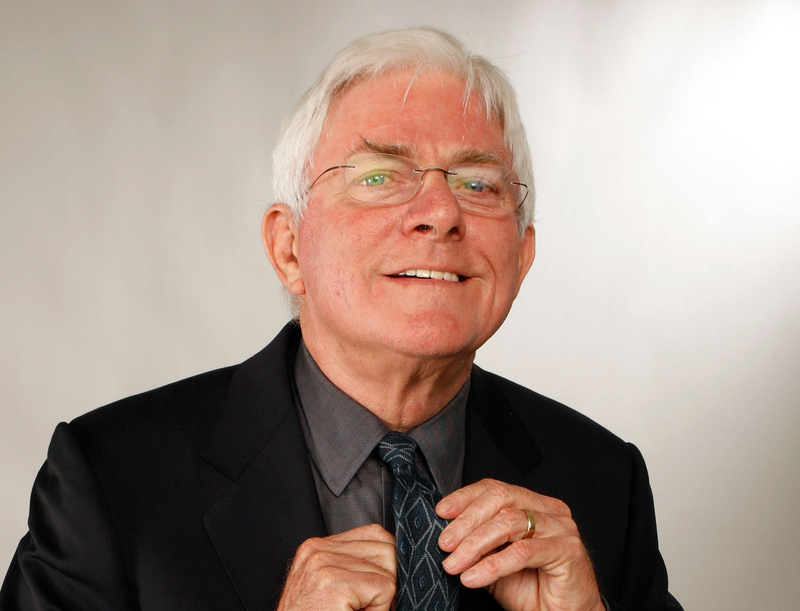 Television talk-show pioneer, writer, and film producer Phil Donahue will receive the Irish American Writers and Artists’ 2017 annual Eugene O’Neill Lifetime Achievement Award in October during a ceremony in New York. Kathleen Walsh D’Arcy, IAW&A board member and co-chair of the St. Pat’s For All Parade, which is held in Queens, New York, praised the choice of Donahue. “He has always been the ultimate Irish American voice for truth and justice in media. As our parade Grand Marshal last March, he spoke about human rights, LGBTQ rights, and an Irish history of immigration and how we should embrace new waves of immigrants from around the world,” she said. Born in Cleveland, Donahue spent a decade as a Dayton reporter and radio interviewer of such notables as John F. Kennedy and Malcolm X before creating the innovative Phil Donahue Show, which often focused on topics dividing liberals and conservatives in America. On national television for 29 years, The Phil Donahue Show remains the longest continuous run of any syndicated TV talk show in U.S. history. During his career, Donahue received 20 Emmy Awards. He received a Peabody Award in 1980, and was inducted into the Academy of Television Arts and Sciences Hall of Fame in 1993. In July 2002, after seven years of retirement, Phil Donahue returned to the air with Donahue on MSNBC, only to have the show cancelled in February 2003 because of Donahue’s public opposition to the U.S. invasion of Iraq. The Eugene O’Neill Lifetime Achievement Award was established in 2009 to honor the accomplishments of a writer, actor, musician or other artist whose body of work exemplifies the level of integrity established by O’Neill. For more information, visit i-am-wa.org.